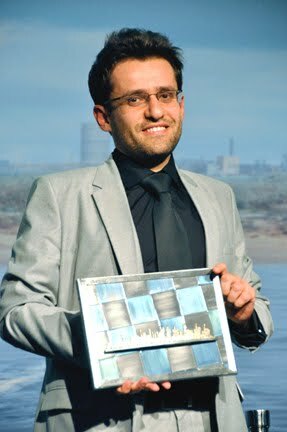 Armenian GM Levon Aronian has added another chapter to a career that has been both illustrious and somewhat under the radar, capturing the 74th Tata Steel Grandmaster “A” Tournament in Wijk aan Zee, Netherlands, Sunday by a full point over Norway’s Magnus Carlsen and Azerbaijan’s Teimour Radjabov. Despite a loss to Carlsen during the Category 21 event, Aronian won going away, notching a quick last-round draw to finish at a very impressive 9-4. 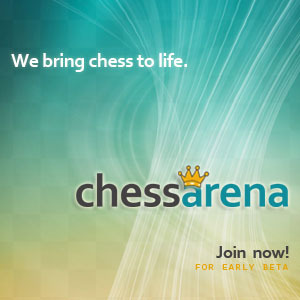 The genial 29-year-old Aronian, ranked second in the world behind Carlsen, led his small country to gold in the 2006 and 2008 Olympiads and to a World Team Chess title last year. He also has racked up a slew of firsts in elite events over the past decade, and he’s the reigning world blitz champion, to boot. Yet despite a solid and at times spectacular style at the board, he has at times been overlooked among the small class of the world’s elite players, overshadowed by rivals such as Carlsen and reigning world champion Viswanathan Anand – over whom Aronian has a 5-1 edge in classical chess games. Playing a few more games like this win from Tata would only help Aronian’s Q rating. He schools young Dutch grandmaster Anish Giri from the Black side of a Queen’s Gambit Declined, first with a powerful exchange sacrifice to seize the initiative and then with a combination featuring a queen sacrifice to wrap up the point.